Karolyi, Tibor. Mikhail Tal’s Best Games 1: 1949-1959, The Magic of Youth. Glasgow: Quality Chess, 2014. ISBN 978-1907982774. PB 448pp. List $29.95, currently $23.70 on Amazon. Karolyi, Tibor. 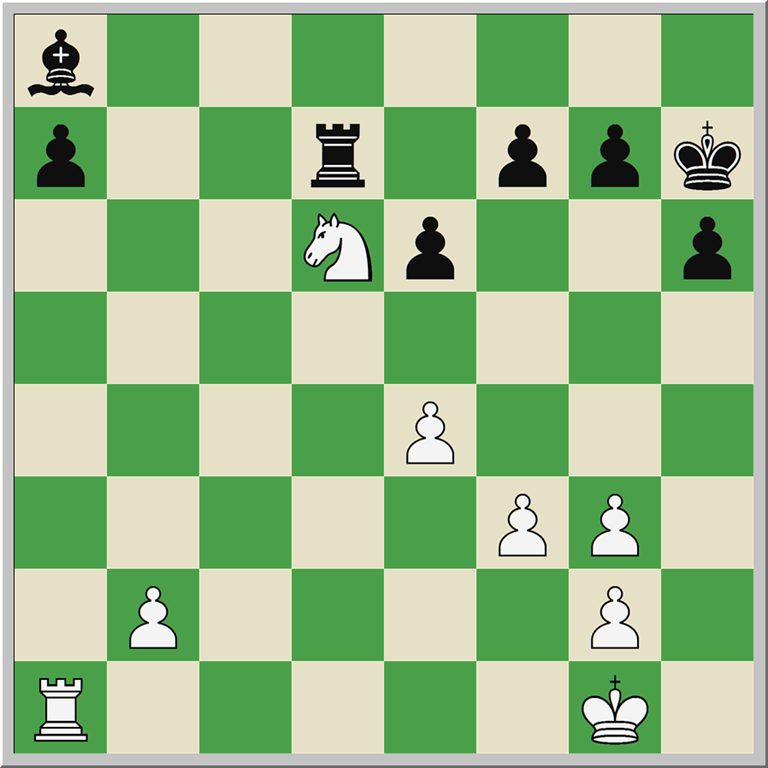 Mikhail Tal’s Best Games 2: 1960-1971, The World Champion. Glasgow: Quality Chess, 2015. ISBN 978-1907982798. PB 360pp. List $29.95, currently $21.74 on Amazon. In the course of researching the games of Mikhail Tal for a forthcoming Chess Life review, I had the opportunity – and the pleasure – to spend some time with Tibor Karolyi’s two volumes on Tal. (A third, covering the remainder of Tal’s playing career, is in press.) Excluding Tal’s own efforts, there are no finer books on Tal in print. Karolyi follows a recipe in these two books that he first cooked up in his two books on Karpov for Quality Chess. (Those books, Karpov’s Strategic Wins 1: The Making of a Champion and Karpov’s Strategic Wins 2: The Prime Years, can also be recommended.) He breaks Tal’s career down by year, interspersing deeply annotated games with discussion of tournament situation, personalities, and Tal’s personal life. Summaries of each year’s results conclude chapters, and indexes by player and page number are included along with a rough index of themes found in Tal’s games. While Karolyi includes many of Tal’s most famous sacrificial efforts, he also analyses more ‘workman-like’ games, including no small number of his endgames. Karolyi is a diligent analyst, and while he (like many of his Quality Chess brethren) can sometimes present more analysis than can be easily digested, this is surely preferable to offering too little. The image of Tal we get through these books is of a much more well-rounded player than commonly thought. Karolyi also spends a lot of time, and obviously spent a lot of effort, contextualizing each game. In some cases he sheds light on the identity of Tal’s opponent, while in others he sketches the situation Tal found himself in while playing the game. Many personal anecdotes are relayed, and the book is much richer for it. 69 fully annotated games are found in Volume 1, while Volume 2 contains 66 complete scores. Dozens of fragments and game citations (some with notes) are given as well. When the third volume is released, Karolyi will have given the chess world a comprehensive and compelling account of Tal the player and Tal the man. It will only further burnish the legend that is Mikhail Tal. This entry was posted in biography, Book Note, Game Collections and tagged Karolyi on Tal, Mikhail Tal, Mikhail Tal's Best Games, Tibor Karolyi on September 19, 2015 by fullcityplus.